A while back I wrote an article about foursquare talking about how it was a great tool for getting to know your city. For those of you new to the party, I’ll explain. foursquare is an online game that takes place in your city. You get points every time you check in somewhere. Add a new place, you get bonus points. Go somewhere new, you get bonus points. If you check in at a place more frequently, there’s a chance you may be named the Mayor of the location. Well, it turns out that it now has an additional usefulness: deals. 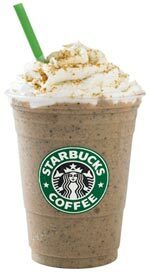 Starbucks has just unveiled a new North American discount on Frappuccino drinks for Mayors of their foursquare locations through June 28th. Anyone who is the Mayor of a Starbucks location (and, I presume, has their phone there to prove it) gets $1 off their Frappuccino. Okay, yeah, that’s not exactly something free, but a discount for being a frequent customer is not a bad deal. Plus, Starbucks has indicated it will be exploring new deals for their foursquare Mayors going forward – a plan to, again, reward frequent customers. This is actually a good way for Starbucks draw in the social media crowd, who are the main users of foursquare, and it’ll heat up use and competition on foursquare. It’s absolutely win-win for both sides of the equation. And I think there are plenty of other businesses that could – indeed, should – get in on this. Look how easy that is. This stuff would cost these companies pennies. Why? Because they’re only offering the deal to one person per location. And they’ll have people scrambling over each other to turn up frequently enough to earn the mayorship and get the deal, so there’s an increase in business to balance out any loss. Anyway, I need to get in on this Starbucks deal – so all I can say is Jay M… I’m coming for you.